We are so excited to feature Chana Knutson, Hairstylist Manager, this month! Chana has been a hairstylist for over 20 years, and still passionate about it! She can rock out a great bob! Her guests start as clients, and most of them develop into long term clients and good friends. Her clients usually leave with a hug and they look forward to seeing her as much as she does them. Her most favourite thing to do is spend time with her three grandbabies, as well as her family. Both her daughters have followed her footsteps into the industry as estheticians. Chana loves camping, traveling (mostly Vegas!) We are so fortunate to have Chana as our leader in our Hair Salon. We are so lucky to have Chana on our team! Another Must Have! 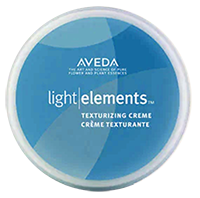 This cream is great do defining curls in updos. Also really helpful to piece out short fine hair for lots of texture. This product makes you feel beautiful! You can put it directly on the skin to help seal in moisture. It’s also great as a delicate perfume.